Police are looking for a vehicle which may have been connected to burglaries in the Worcester Park area. 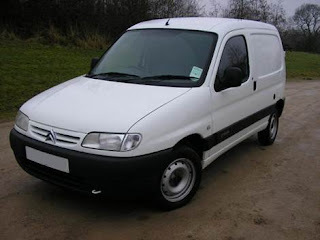 A White Citroen Berlingo van (similar to this one here) with the registration LD52 LPZ was seen by the Hamptons security guard driving slowly around the estate last night and shining a torch through windows. According to the police, the suspects first scope out the properties and then return later to 'do the job' entering through the back of the property. If you know about or see this van (or any other suspicious activity), please call the police on 101 (stating you've seen this vehicle behaving suspiciously) or 999 if they are trying to break in.